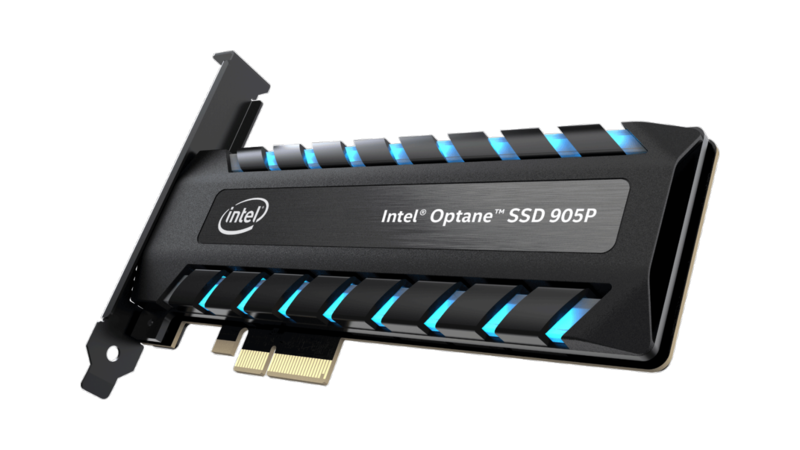 Intel has just launched their latest Optane SSD 905P series which expands their Optane storage solution lineup. The Intel Optane SSD 905P series builds on the foundations of the Optane SSD 900P series while offering higher capacities and ridiculously fast storage speeds that we should expect from Optane based solutions. There are two Optane SSD 905P series products launching today which are part of the Mansion Beach family. Both drives use a custom Intel NVMe controller while the memory used is part of Intel’s 3D XPoint solutions. You can purchase the Intel Optane SSD 905P 960GB PCIe Model Here! You can purchase the Intel Optane SSD 905P 480GB U.2 Model Here! Starting off with the top variant, the Intel Optane SSD 905 960GB variant comes in the PCI-Express add-in-card form factor. This storage device features a sequential read of up to 2600 MB/s and a sequential write speed of up to 2200 MB/s. The Random Read is rated at 575,000 IOPS and random Write is rated at 555,000 IOPs. The device has an idle power of 6W while active power is rated a bit higher at 16.4W. The Optane SSD 905 960GB PCIe variant is available to purchase for a price of $1299 US from retailers around the globe. 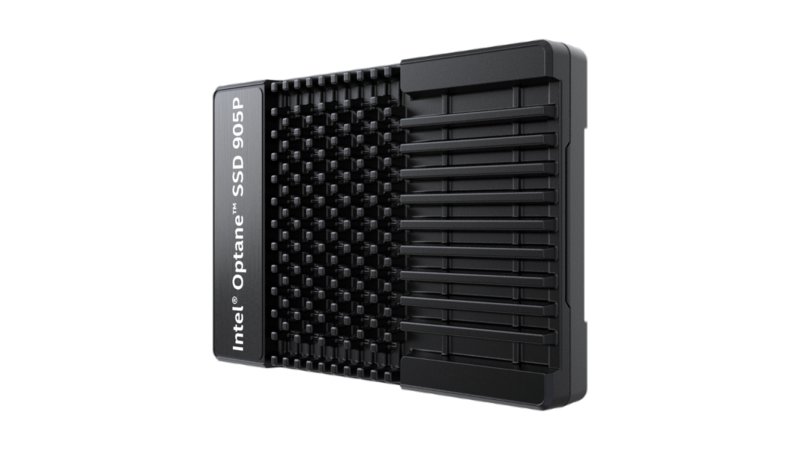 The second solution, the Optane SSD 905 480GB model is a 2.5″ drive which comes with U.2 PCIe 3.0 x4 interface. This device has the same performance specifications but runs with slightly lower power draw at 3.3W in idle and 12.8W in active mode. The U.2 480GB model costs $599 US and is designed to be a cost-effective yet very fast storage solution. 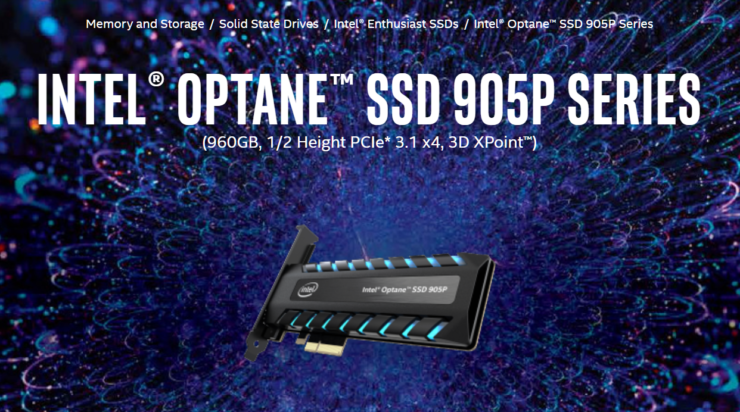 The Intel® Optane™ SSD 905P delivers read/write performance optimized for client workstations. The performance and responsiveness of the SSD 905P mean the processor can spend less time waiting and more time computing, resulting in greatly increased efficiency. It provides exceptional random storage performance of up to 575K/550K IOPS (4K random reads/writes), and is complemented with low latency of less than 10μs.1 These key capabilities make the SSD 905P a highly responsive client storage solution. 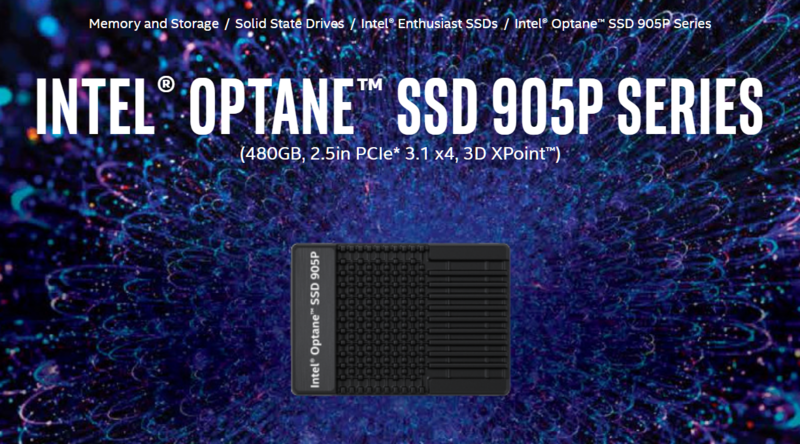 The SSD 905P also enables software developers to optimize applications to take advantage of the unique attributes of Intel® Optane™ technology: low latency, and high throughput at low queue depth. One more thing, the U.2 drive uses a rigid body with a heatsink design and black color scheme. The PCIe model on the other hands comes with a similar design as the Optane 900P solution but adds in RGB LEDs on the side skirts of the shroud giving out a nice effect. The standard color is set to blue which goes well with the brushed silver and black color scheme of the add-in card.